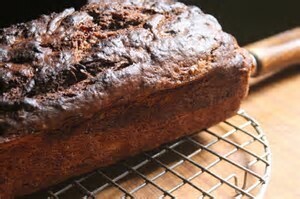 This is a cake that really works well - chocolate and banana. Don't we love them? By layering the chocolate, you get a beautiful rippled effect. This cake is so moist too. Go on, try it! Heat the oven to 180'C or Gas Mark. Put the broken chocolate in a heatproof bowl with ginger and 25g of the butter. Place over a saucepan of simmering water until melted. Put the rest of the butter into a bowl with the sugar and beat until creamy. 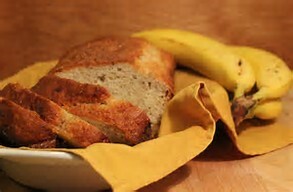 Add the eggs, banana, flour and baking powder and beat together until smooth. 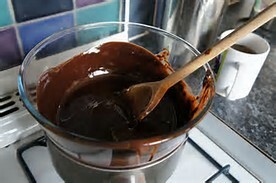 Spread a quarter of the creamed mixture into the tin, then spoon over one third of the chocolate mixture. Spread with another quarter of the cake mixture, then more chocolate. Repeat the layering, finishing with a layer of the cake mixture. Scatter the chopped chocolate down the centre of the cake. Bake in the oven for about 1 hour until a sharp knife inserted in to the centre comes our clean. Leave in the tin for 10 minutes and then tip out on to a wire rack to cool completely.